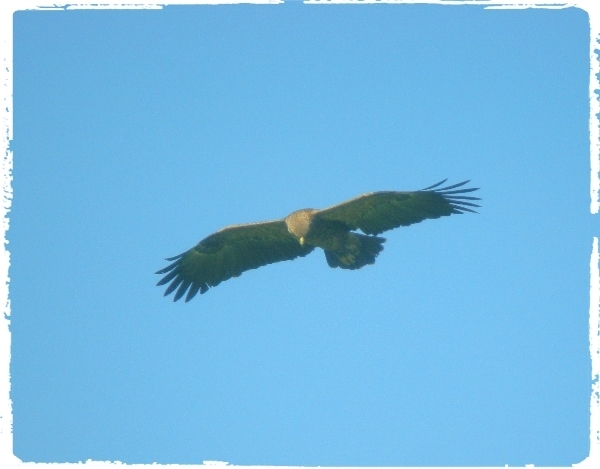 LOCAL BIRDING - NOVAJ VILLAGE - EGER PARK - TISZA LAKE - EARLY FINISH A good day out in great May weather, plenty of sunshine with some cloud. We saw plenty of species but very few new ones for our trip list. Bird of the day was a LESSER SPOTTED EAGLE which showed extremely well. Another early start saw us drive to a small village called Novaj where our local guide Roy lives, we walked a farm track on Roy's 'local patch' where a good selection of species were found. Very showy Wrynecks were top sightings, at least three birds flew around us and perched in the open. 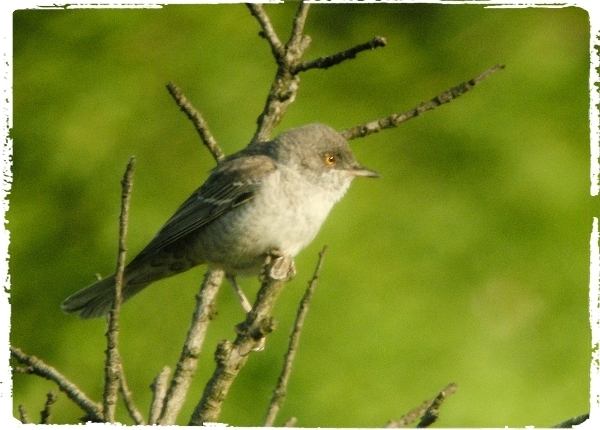 It was a similar story with Barred Warblers. We also had 'scope' views of Turtle Dove for the first time but Golden Oriole was a bit more elusive. 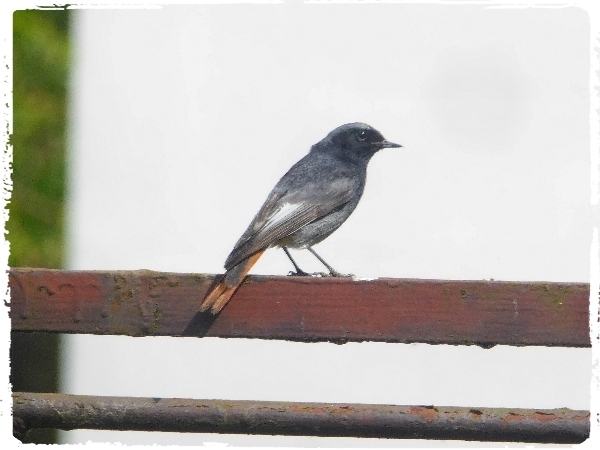 Other species of note were Common and Lesser Whitethroats, Spotted Flycatcher, Black Redstart, Common Cuckoo and lots of Tree Sparrows. The first venue after breakfast was an open area just on the edge of town near the Bükk Hills, it was the favoured area of a pair of Lesser Spotted Eagles, I remember in previous visits in the past years we had great views of perched birds there. Today was no exception an adult bird drofted over us for some twnety minutes giving an excellent display of all of it's identification features. The bird also had some altercation with a Common Buzzard and showed us its superb flying skills. We also saw a magnificent Marsh Harrier and a distant Hobby to look at. Our next venue was a lovely piece of primary deciduous woodland adjacent to an Asylum, a managed parkland, it was full of bird song but our aim there was to 'stake-out' the nesting hole of a Black Woodpecker. We waited patiently for almost an hour, but nothing happened at the nest except short views were had of the chicks as they poked their heads up at the hole entrance. At this point some of the group went off for a coffee break, five minutes later the adult bird appeared at the hole, a male, it stayed for a while and fed the young, fantastic. Other birds seen whilst we waited were: Common Cuckoo, Green Woodpecker, Wood Warbler, BLACK STORK, Common Nightingale, Black Redstart and a Wryneck called quite often. When the 'coffe-break crew' returned we waited a further 15 minutes for a second sighting of the male Black Woodpecker what a superb bird! 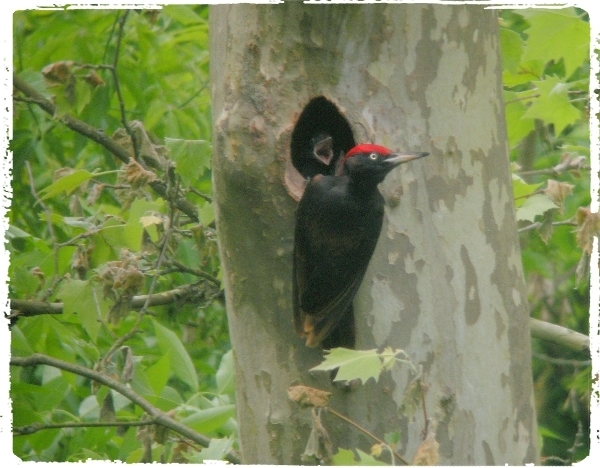 the male Black Woodpecker at the nest. For the rest of the afternoon we cruised along the shore of the huge Tisza Lake hoping for views of herons and egrets etc. We made a few stops before we left the area around 2pm. We saw Squacco Heron, many of us for the first time on the trip, we watched a pair of Rollers at thier nest site and we saw olenty of herons and egrets, another Hobby and lots of Marsh Harriers. But generally the area was quite quiet for water fowl, gulls and terns. Just before we returned to the hotel we stopped at Eger Park to look for Syrian Woodpecker but after a short walk we gave up having found Great Spotted Woodpecker, Blackcap and not much else. We finished early at 4pm because we planned a night out, we were to visit Hungary's famous wine valley where a number of 'caves' serve 'Bull's Blood' wine in great quantities. We had a great night out and ended up at a lovely restaurant in the centre of Eger.